French abandon the Béthincourt–Cumières road between Mort Homme and Cumières and evacuate Caurettes Wood; they are driven back towards Chattancourt; counter-attack drives Germans back to Cumières. Turkish offensive in Armenia; Mamakhatun reoccupied. German trenches at Pangani, German East Africa, carried by General Smuts’s troops; Germans retire to Mkomazi; General Northey‘s occupation of Neu Langenburg announced. French evacuate the Béthincourt salient. German attack at Verdun wins the village of Haucourt; attack against Béthincourt fails. 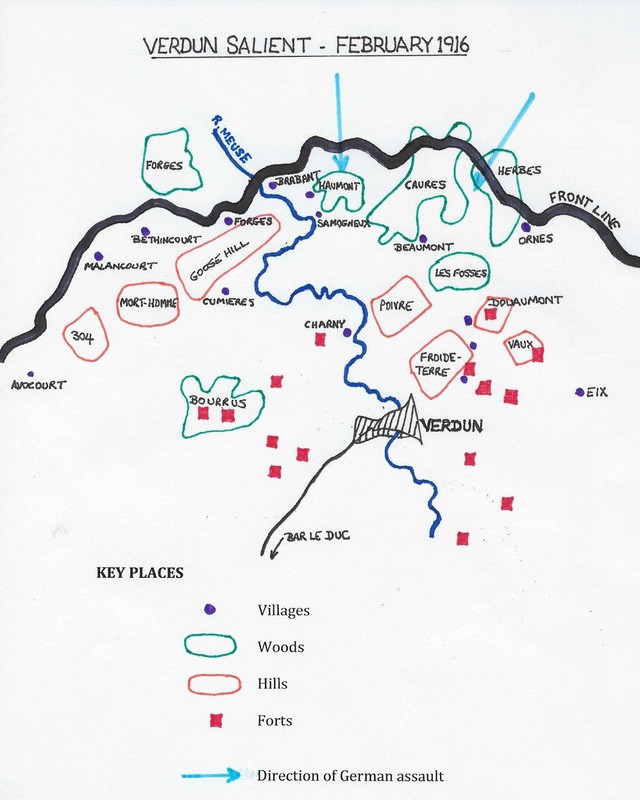 Turkish positions at Umm el Hannah, 20 miles from Kut, carried by General Gorringe; Turks retire to the Falahiyah and Sanna-i-Yat positions; the Falahiyah position carried. Anglo-French squadron sinks a German submarine; crew taken prisoners. Three Zeppelins raid the North-East coast; one apparently hit by gunfire; nine casualties. German assaults on Verdun renewed; attack between Béthincourt and Cumières repulsed, though they gain a footing on the lower slopes of Mort Homme. Major-General Peyton reoccupies Sollum, Egyptian frontier post evacuated by the Senussi Arabs. Furious struggle in the Corbeaux Wood; Germans recapture part of the wood; slight German gains at Béthincourt and in Vaux village. British destroyer Coquette and torpedo-boat No. 11 strike a mine off East Coast and sink. Germany declares war on Portugal.